I don’t think I can say more than what has already been said about NieR: Automata on this site, but I think I’ll try since I’ve been playing the XBox One release that’s a little over a year late to the party. A complete package (though digital only), NieR: Automata Become as Gods Edition comes with the previously released DLC and a few tweaks and updates that improve upon the already excellent game in small ways, and at first I was very much thinking that this was the definitive version of the game, but there’s still a few technological hang-ups that even the most powerful console on the planet can’t help address. In the distant future, mankind has retreated to the moon after aliens attacked the planet with unstoppable machines that pushed mankind to the brink of extinction. From their base on the moon, the humans have mounted a counter attack in the form of androids built in their likeness, who will fight on behalf of the humans, eradicate the machines, and drive the aliens from the planet. 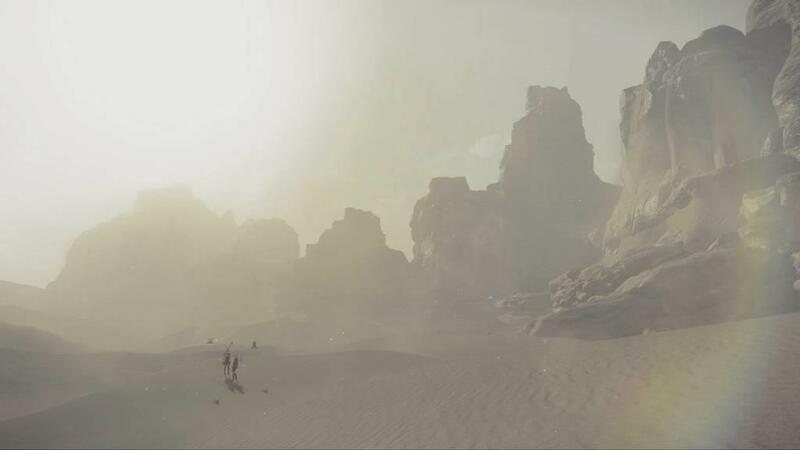 What starts as a simple story blossoms into one of the most amazing pieces of science fiction released in the past decade, and is perhaps one of the greatest stories ever told in the medium of video games. This is a game that has easily moved into my top five list of all-time. 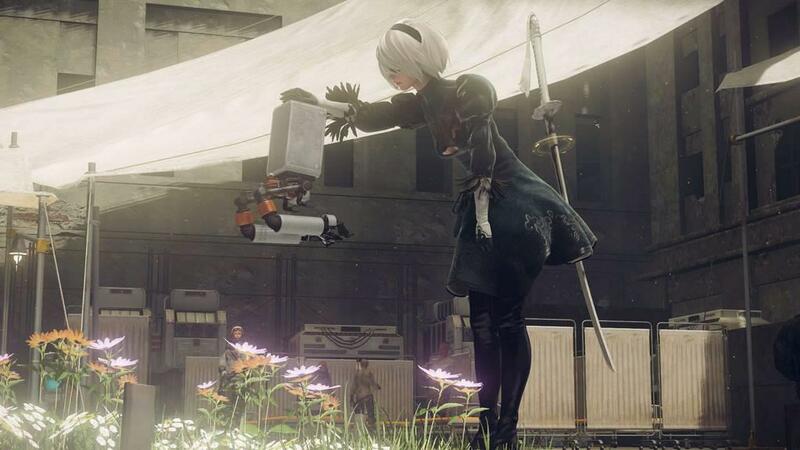 If Chrono Trigger is my number 1, then NieR: Automata is my 1A, it is simply that good of a story, and that alone can carry this game through some of the technological hiccups this game exhibits. Having played the PS4 and PC editions of NieR: Automata I was expecting this version to be absolutely flawless. Unfortunately that’s not quite the case. Running the game on an XBox One X, I still found portions of the game would be subject to frame-rate issues that pop up in particularly busy areas, or in some really heated combat (looking at you, Forest). The Level of Detail draw distance is still abysmally short, making the line where objects go from lower detail to higher detail plainly visible, especially in the central hub area where things are a bit more wide open. However when this game is running at it’s best, it looks absolutely gorgeous, with great 4K visuals and HDR lighting, and surprisingly the frame-rate cap has been removed from the cut-scenes, so those jarring transitions going from in-game to cut-scene are gone now. Hopefully the development team has some plans to address some of these issues to take more advantage of the hardware, but given the sad state of the PC version of the game I would be really skeptical about that actually happening. 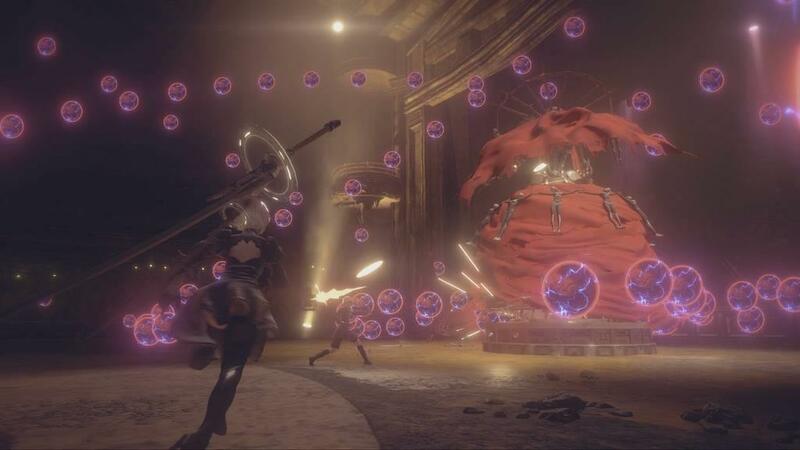 NieR: Automata features some of the smoothest combat out there thanks to the development being done by Platinum Games, who have been responsible for games like Bayonetta, The Wonderful 101, and Vanquish. They took the base that Cavia developer for the original NieR back in 2010 and improved upon it in every possible and meaningful way. There’s a large variety of weapons to collect and power up, there’s the chip system that lets players augment their character build to do things like increase the amount of EXP received or raise the cap on 2B and 9S’ hit points. It is actually kind of staggering how many options this game offers in how to play the game. If I wanted to just experience the story, the game can practically play itself, and given how this game shifts gameplay styles at a moment’s notice, from bullet-hell shooter to action adventure brawler to 2D platformer and all the way back again, it’s great that this game offers a huge amount of customizations to make things as enjoyable as possible. NieR: Automata is also just packed to the brim with content. It comes in the form of side-quests, weapons to collect, stories to read, and fish to… fish? Then there’s the story itself, which requires multiple playthroughs to experience to completion. I’m not going to spoil anything, because I’m sure there are other parts of the internet that have already done that, but I’d like to say, at least see endings A through E. The other 21 endings are simple endings but offer a little glimpse into the mind of series director, Yoko Taro. Then there are the ties back to the first NieR game, which had me hyped beyond belief to see some of these characters return, but also be heartbroken to see where their journey has taken them since the first game. 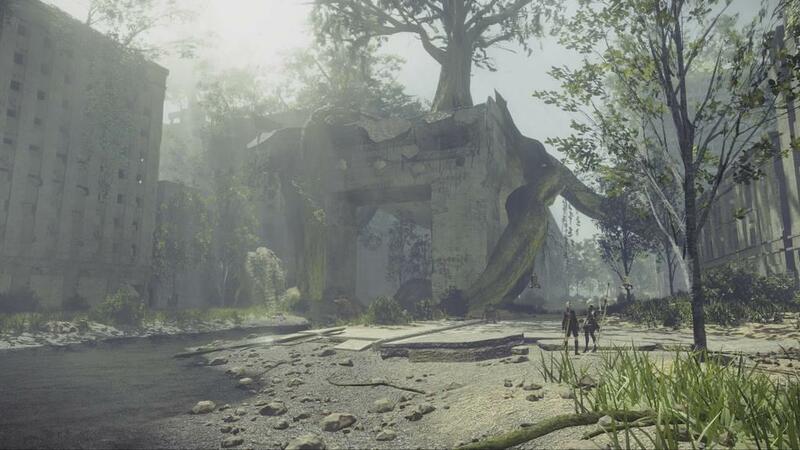 When I heard that NieR: Automata was going to be coming to the XBox One I was initially very excited, thinking I’d get to see this game with 4K and HDR visuals. The PS4 version never really received a proper patch to support the PS4 Pro, and the PC version continues to be left to rot (seriously Square-Enix, why hasn’t Platinum been able to fix the PC version? ), so I figured that ‘the most powerful console on the planet’ should be able to handle this game with ease and really improve on some of the visual issues and unfortunately that is just not the case. While there are some improvements, and this is a complete package of a game at a good price point, as a super fan of this game I’m kind of disappointed that this transfer to the XBox One feels like it was just an effort to get the game on a console with a few minor improvements. 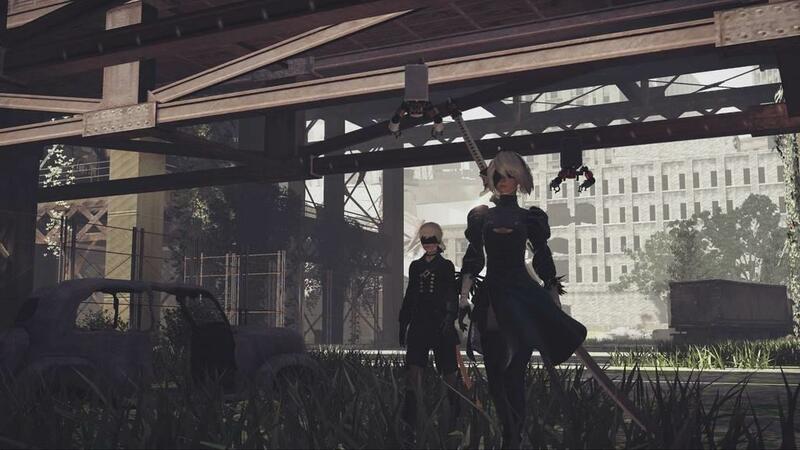 Is NieR: Automata still the game I love? Absolutely, and it’s still my 2017 game of the year and possibly my favorite game of all time. So if you were expecting this to be the absolute perfect version of the game, then I think this is as good as we’re going to get, and that’s fine, so long as you’re getting a chance to experience what I think is one of the greatest games of past few generations. XBox One owners have no excuse to miss out on this game. It is one of the best examples of video games as a medium of entertainment and needs to be played by every person possible. I cannot stress enough how important this game is, or how good it is.